During the 2 days of the meeting, partners from universities and research organizations discussed about the current status of the project, which aims to integrate the concept of Responsible Research and Innovation into University careers in science and technology. 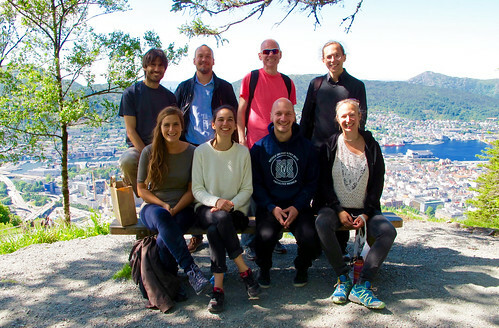 The 4th meeting of the HEIRRI Consortium took place on the 9th-10th June in Bergen (Norway). 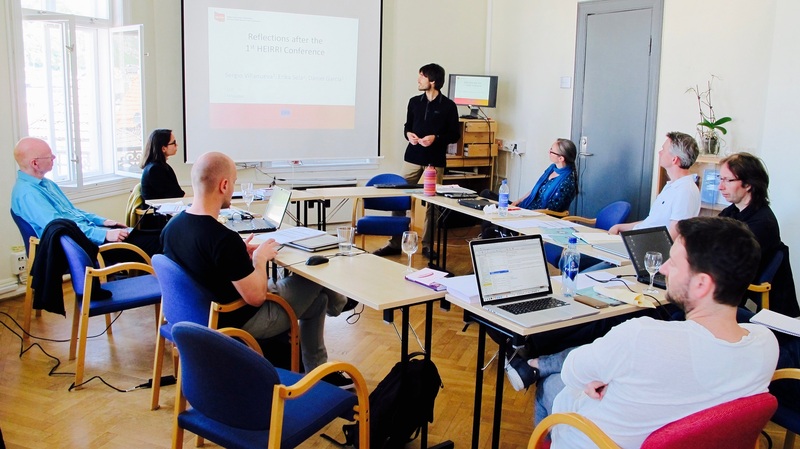 The meeting was hosted by UiB (University of Bergen), one of the 9 Consortium members of the project, and it gathered members of the European institutions which participate in the project. The participants shared some reflections about the 1st HEIRRI Conference, which has been one of the big events of the project so far. The meeting focused on the learning objectives of RRI teaching, the status of a data base with inspiring RRI in Higher Education Institutions cases and the training programs elaboration, which are being developed at the moment. The meeting was also fruitful to discuss about transversal issues such as the internationalization and communication plans, both lead by ACUP/GUNi. If you want to know more about each deliverable, go to this page. The meeting end up with a ‘walkshop’, a new approach about how to hold a discussion in the nature. Get to know more about this practice here. The next PEC meeting will be hosted by Split University, one of the Consortium members, next autumn. Looking forward to keep on working and get the best outcomes from HEIRRI!